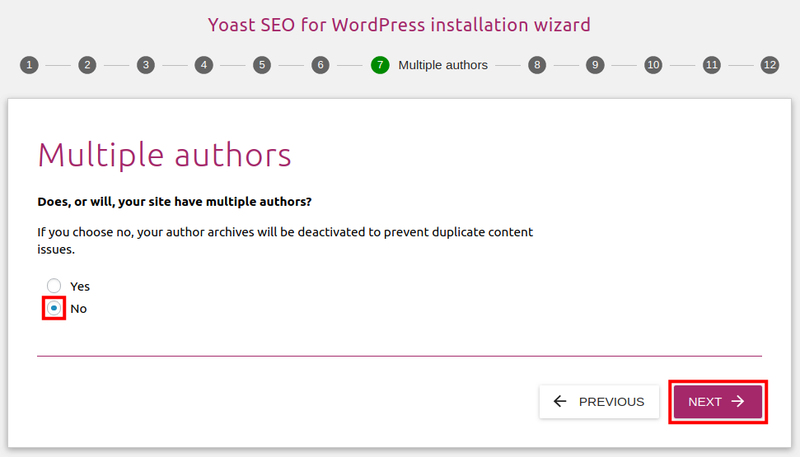 As we continue our series on the Yoast SEO plugin for WordPress, we will now show you how to run the Yoast SEO Configuration Wizard. 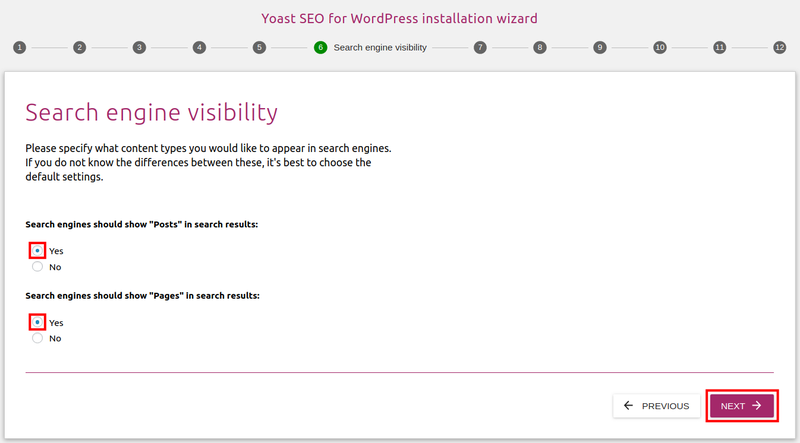 This helps you quickly optimize your website for search engines using the tools included in Yoast. 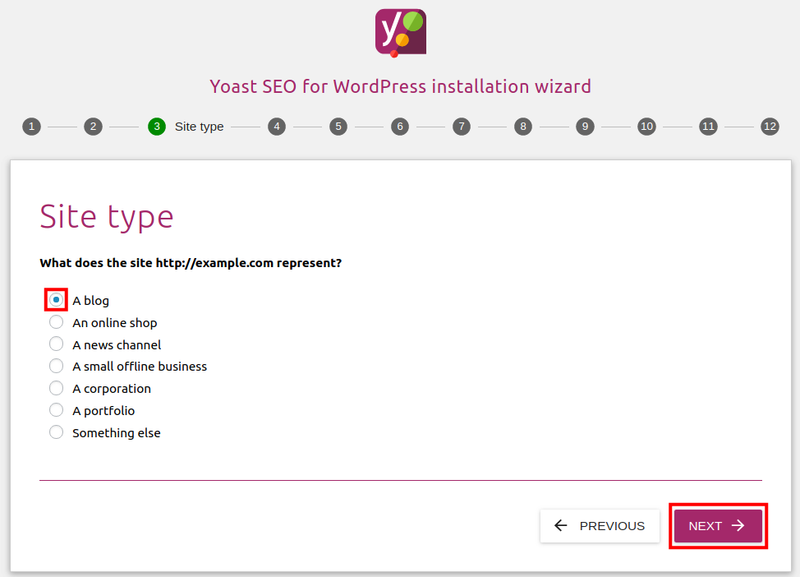 Click the SEO link in your WordPress Dashboard. 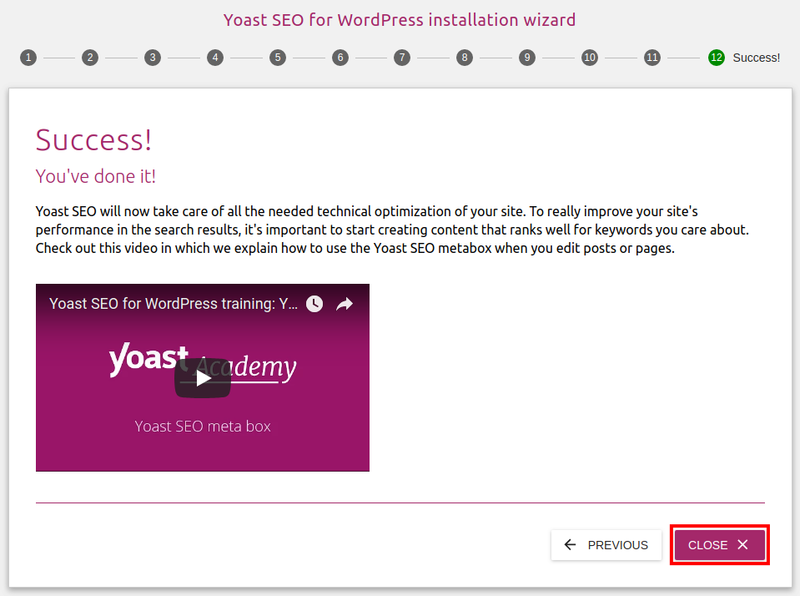 You will see a First-time SEO configuration section, click the configuration wizard link. 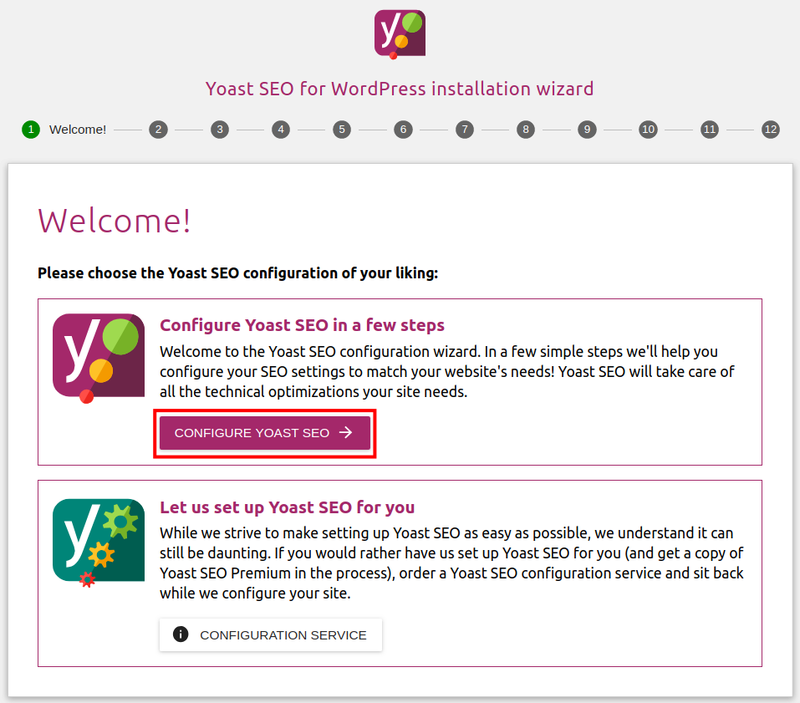 You will then see a Welcome message, click the Configure Yoast SEO button. On the Environment page choose Option A if your site is live and ready to be "indexed" or crawled by search engines. 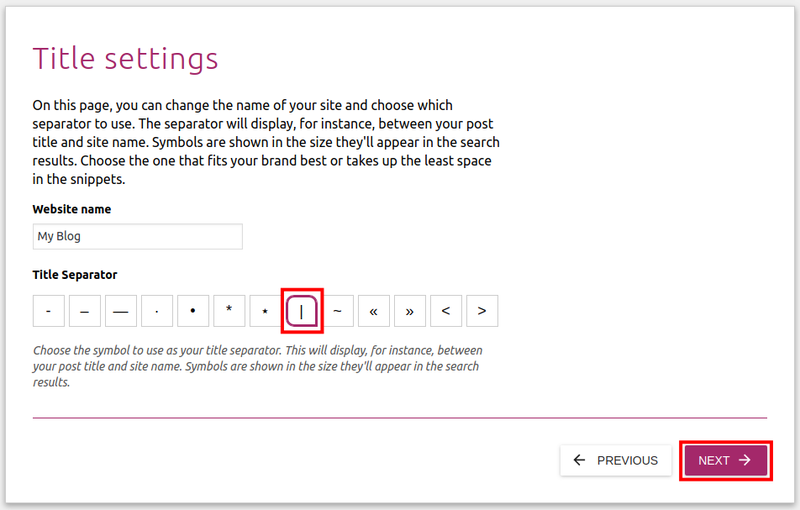 Choose Option B if you do not want your site to be "indexed" now. In this guide I am choosing Option A. Click the Next button. Choose your Site type from the available options, such as blog, online shop, news channel, small offline business, corporation, portfolio, or something else. Then, click the Next button. Select if your site is for a Company or Person. 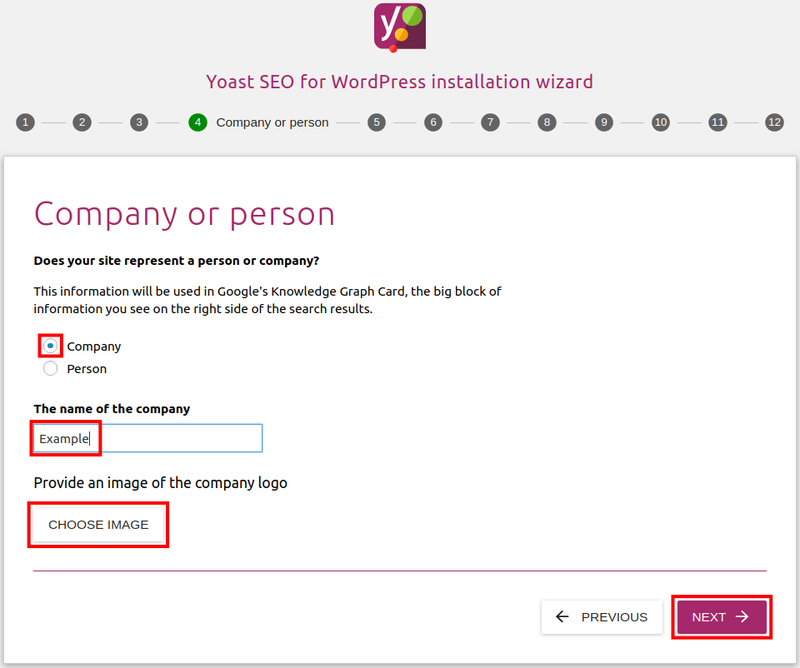 You will then be able to enter the name of the person/company or upload a company logo. 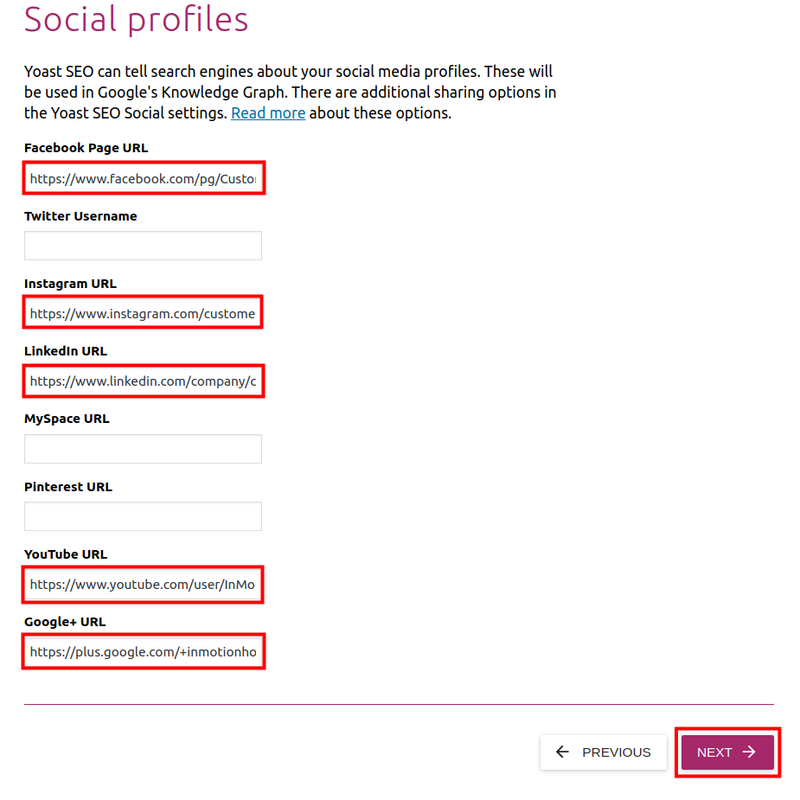 Enter links to your Social Profiles on the next page, then click the Next button. Choose from Facebook, Twitter, Instagram, LinkedIn, MySpace, Pinterest, Youtube, and Google+. On the Search engine visibility page choose if you want to allow your Posts/Pages to display on search engine results pages. Then, click the Next button. On the Multiple authors page, choose if you will have more than one author for the site. Then, click the Next button. 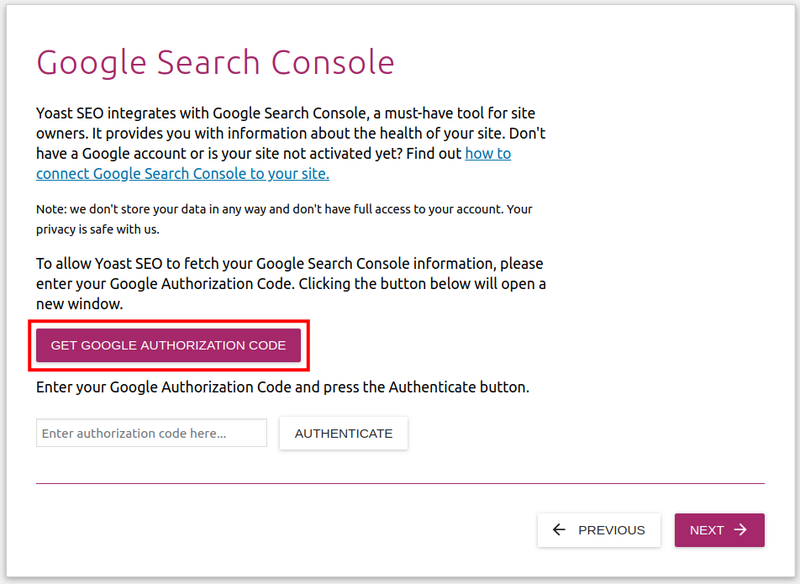 On the Google Search Console menu click the Get Google Authorization Code button. 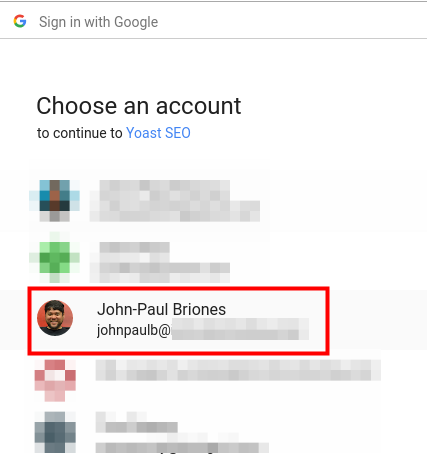 A window will pop up, choose the Google account that is associated with your website. 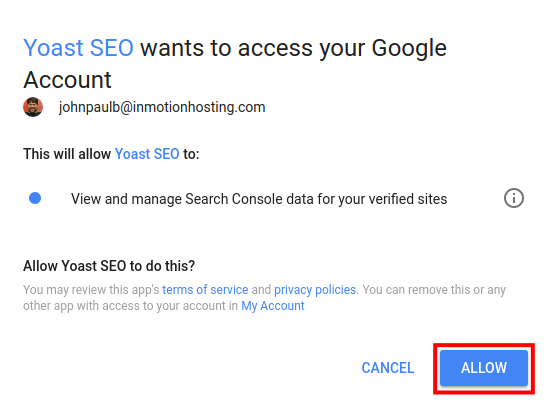 It will then ask you if you want to allow Yoast SEO to access your Google Account. Click the Allow button. You will then be provided with an authorization code, copy it. 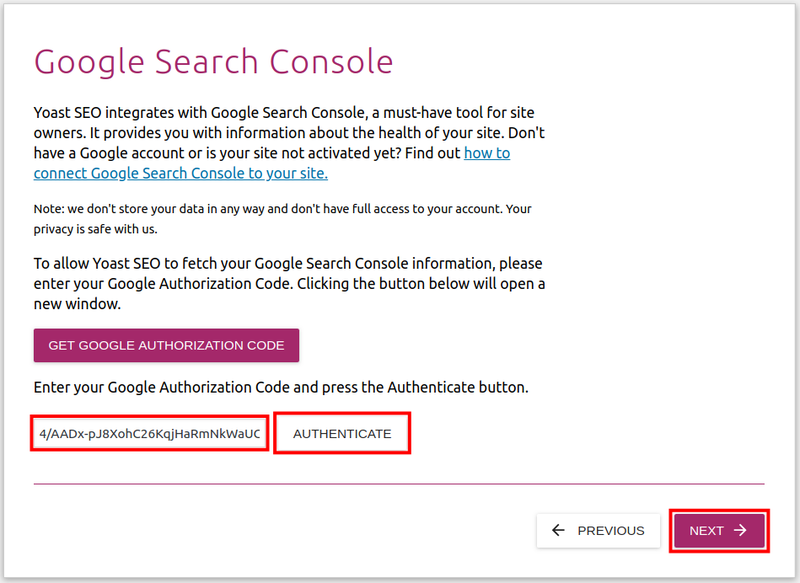 Paste it into the field on the Yoast Google Search Console page and click the Authenticate button. Then, click the Next button. 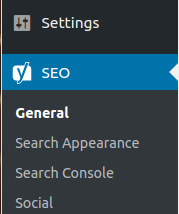 You will then be on the Title settings page, choose a character for separating your title and site name. Click the Next button. 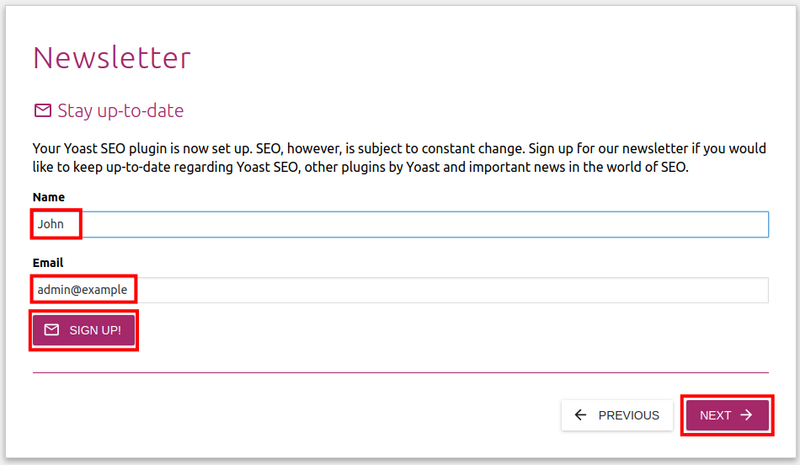 If you want to subscribe to the Yoast SEO Newsletter enter your Name/Email address and click Sign Up!. Then, click Next button. 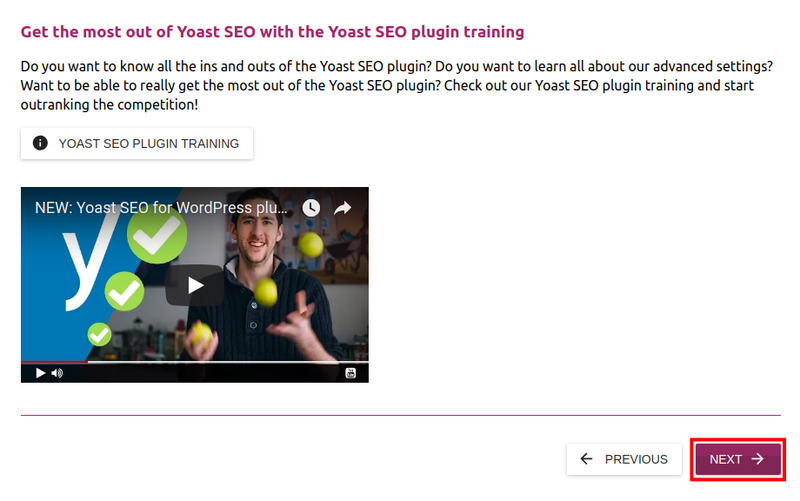 Yoast will then ask if you want to Upgrade to Premium, and offer training opportunities. Make your choices, then click the Next button. 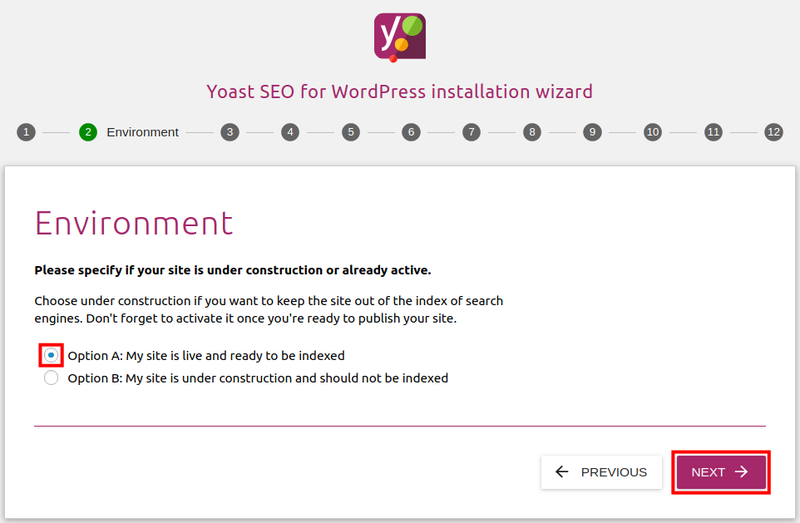 You are finished with the Yoast SEO Configuration Wizard when you see Success message. Click the Close button. 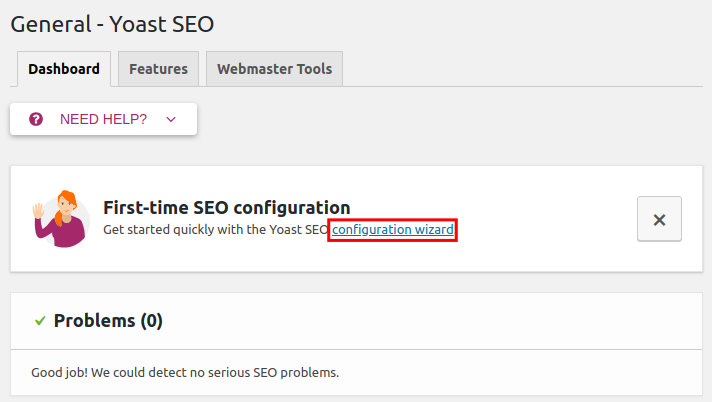 Congratulations, now you know how to run the Yoast SEO Configuration Wizard!